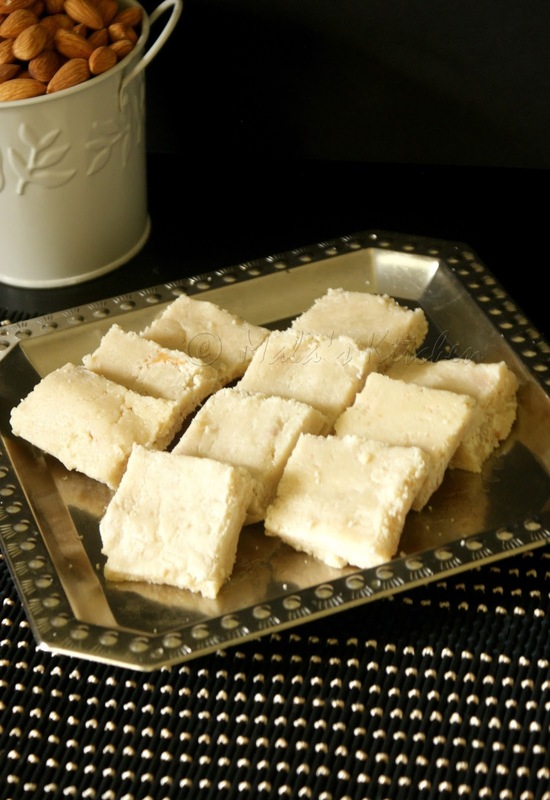 This version of badam barfi is my MIL's recipe. It's easy and minimal ingredients. 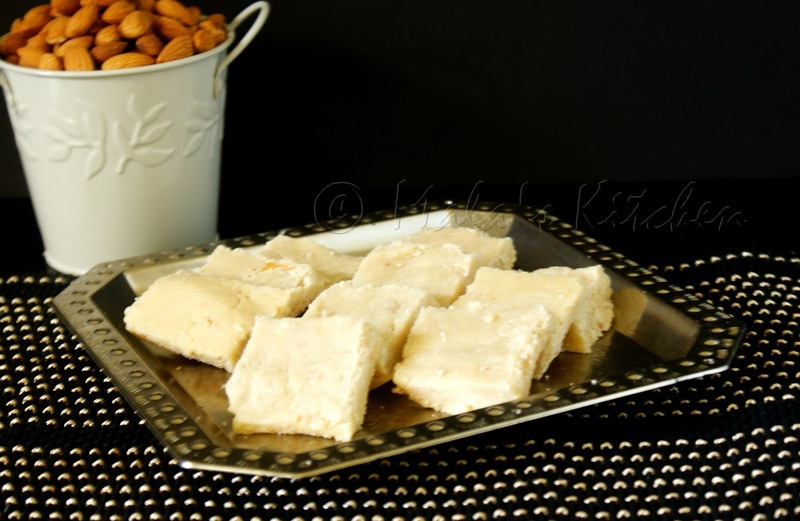 Badam Burfi / Almond burfi is rich in flavour and a very smooth burfi. 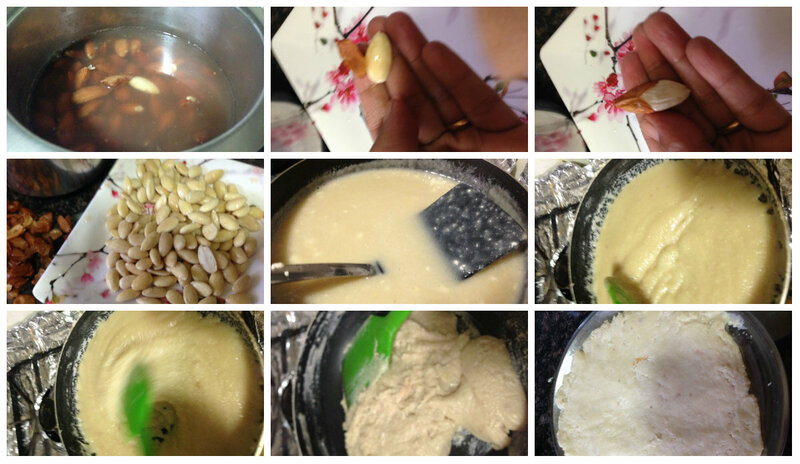 This is the traditional Indian sweet and there are lots of methods used to make do this sweet. 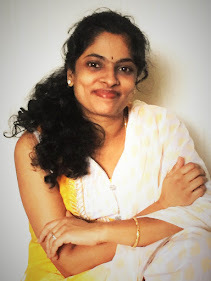 Mostly made or bought in sweet shops during festivities or joyous celebrations. This is not made at home as regularly / widely as other sweets. Also because i think Badam is expensive to an average Indian Family.